With considerable experience advising trustees of self managed super funds and other long-term investors on their investment portfolios, Nick Ries is enthusiastic about SMSFs as an investment vehicle. According to Nick, SMSFs offer greater flexibility and control than industry or retail funds and give investors the ability to tailor investments to their individual goals, risk profile and stage of life. 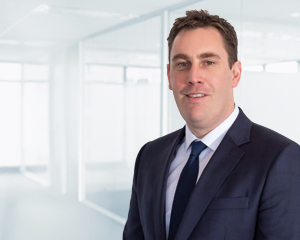 “What sets Dixon Advisory apart for clients is the range of quality investment products, the listed investment companies and the cash team – all supported by a highly experienced investment committee”, he says. Based in Melbourne, Nick provides investment and portfolio construction advice to clients both in Brisbane and Melbourne, in line with the views of the Investment Committee. He works closely with clients to help them achieve their short and long-term investment objectives, focusing on a range of asset classes including cash, income investments, Australian equities, overseas equities, commodities and property. Having worked in the finance industry since 2007, Nick says building trust with clients and giving them an understanding of Dixon Advisory’s transparent investment philosophy is very important. Before joining Dixon Advisory, he worked as investment adviser at a number of boutique financial services companies, actively managing a large number of private clients. Nick has a Bachelor of Business Management from Monash University. He has completed the Margin Lending and Geared Investments Program and a Diploma in Financial Planning through Kaplan.